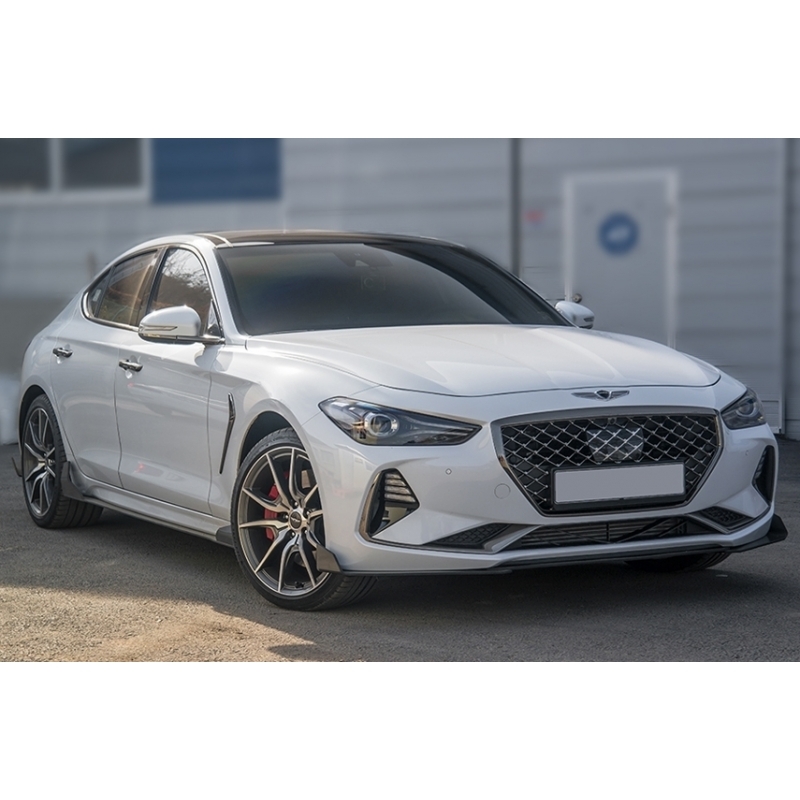 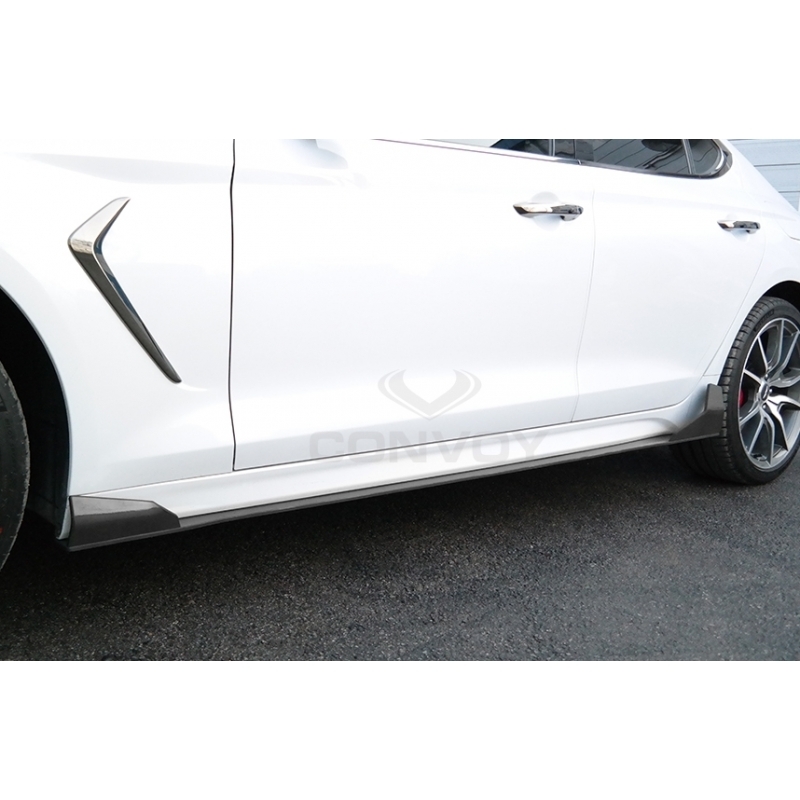 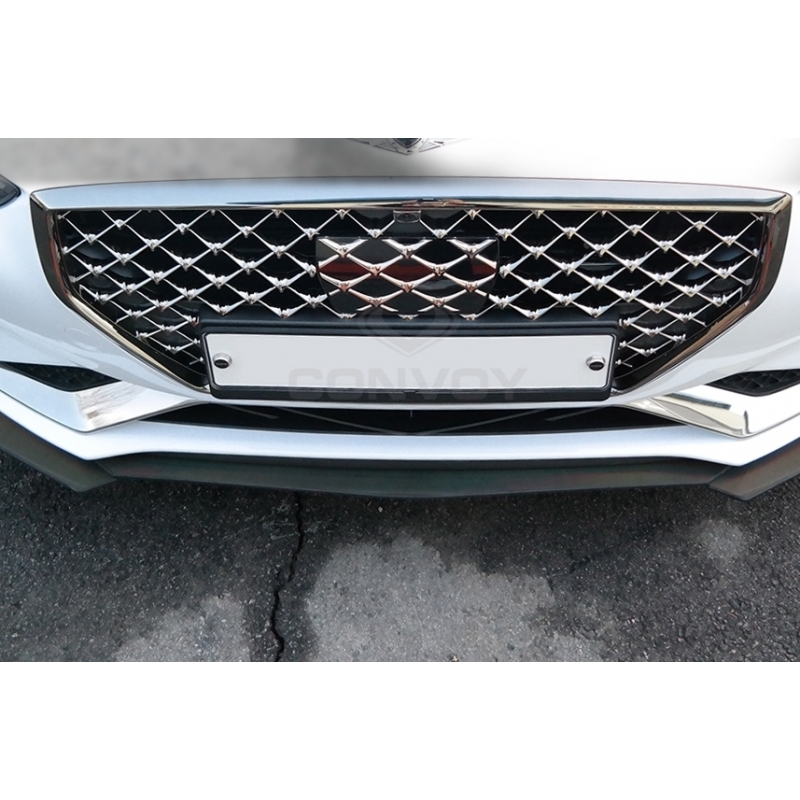 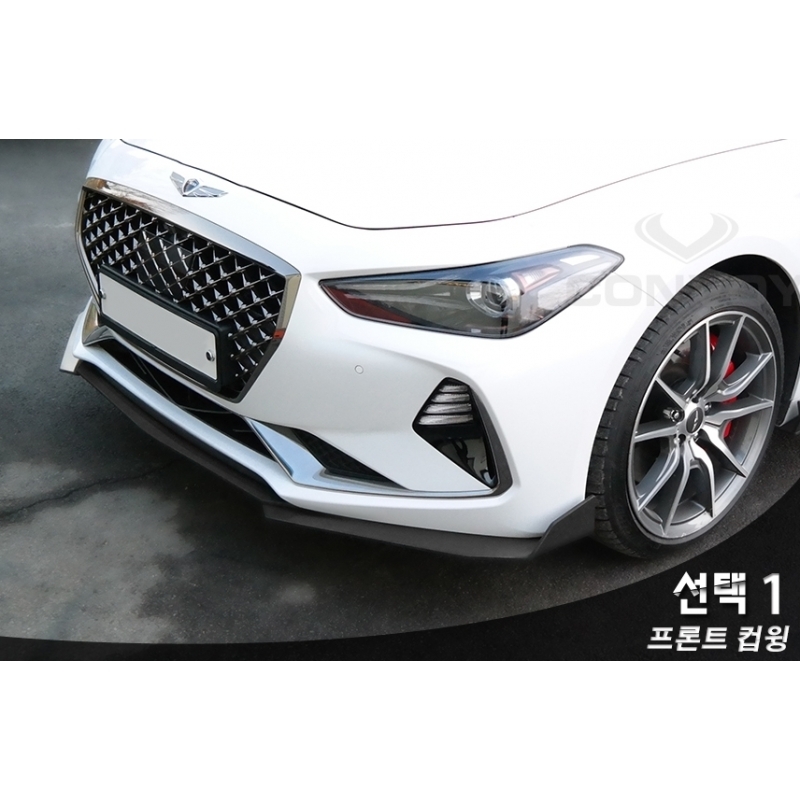 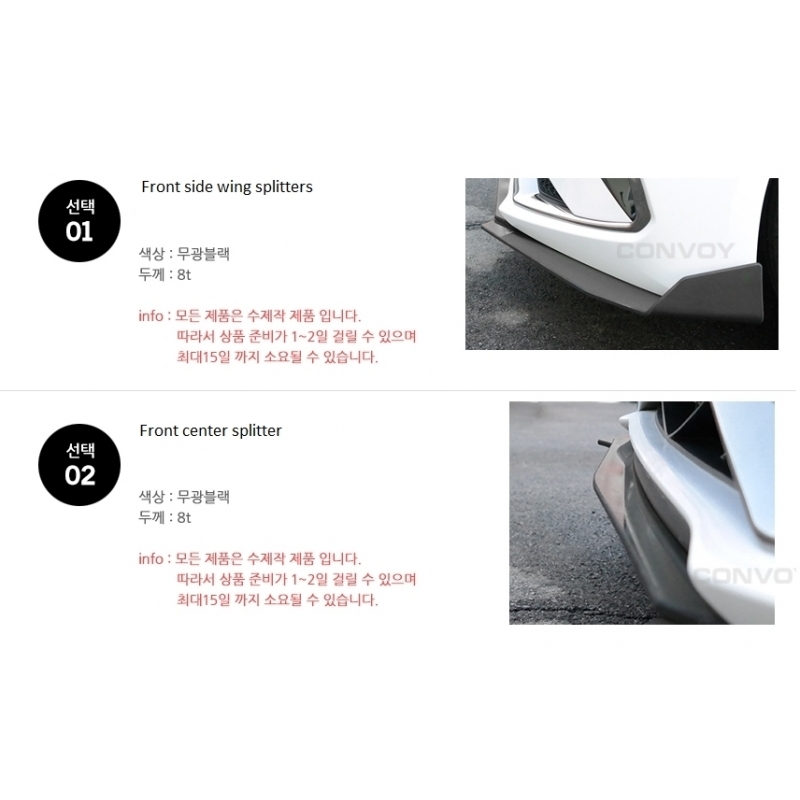 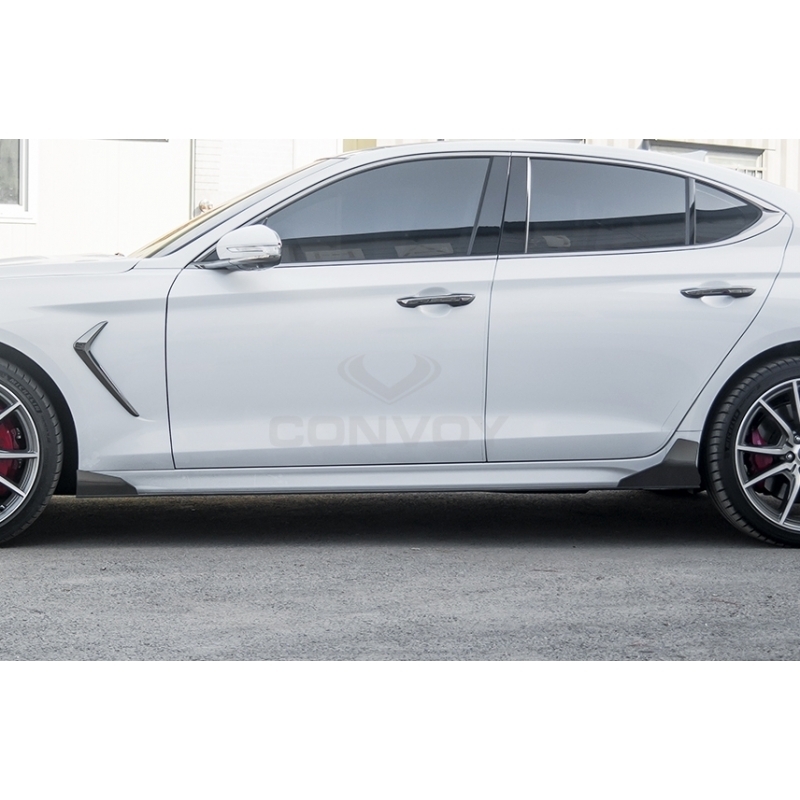 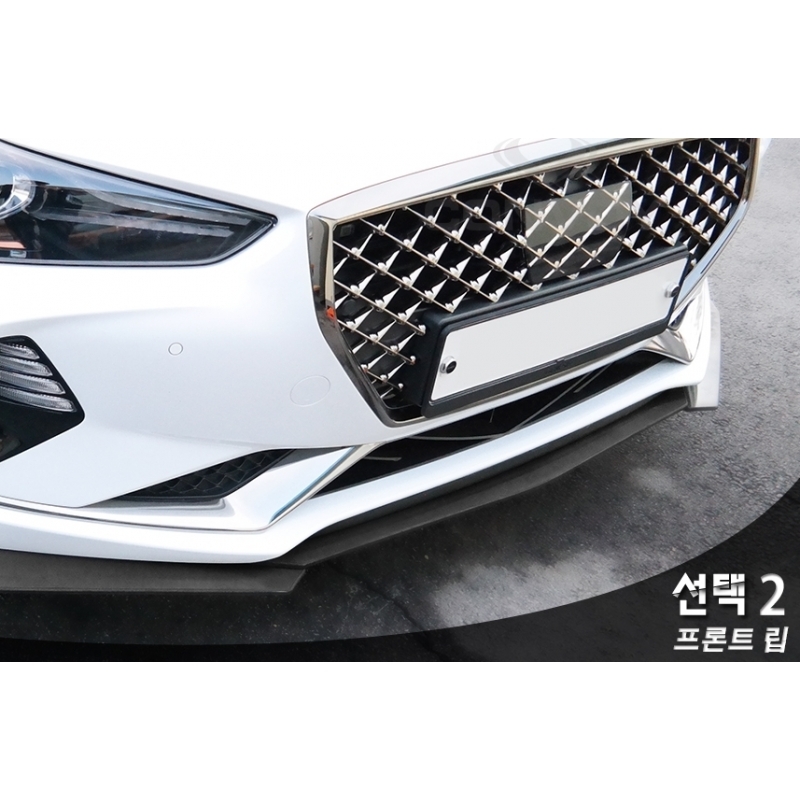 Convoy Wing Splitter Kit for Genesis G70 2017+ is made from plastic with matte black finish, and bolts directly to OEM parts. 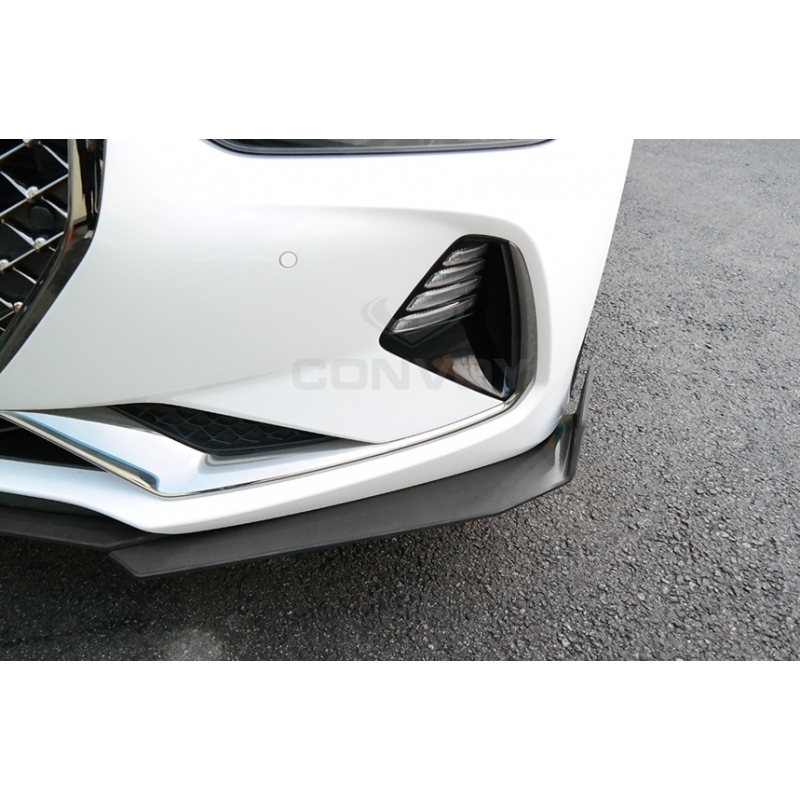 Convoy Wing Splitter Kit for Genesis G70 2017+ is made from plastic with matte black finish, and bolts directly to OEM parts. 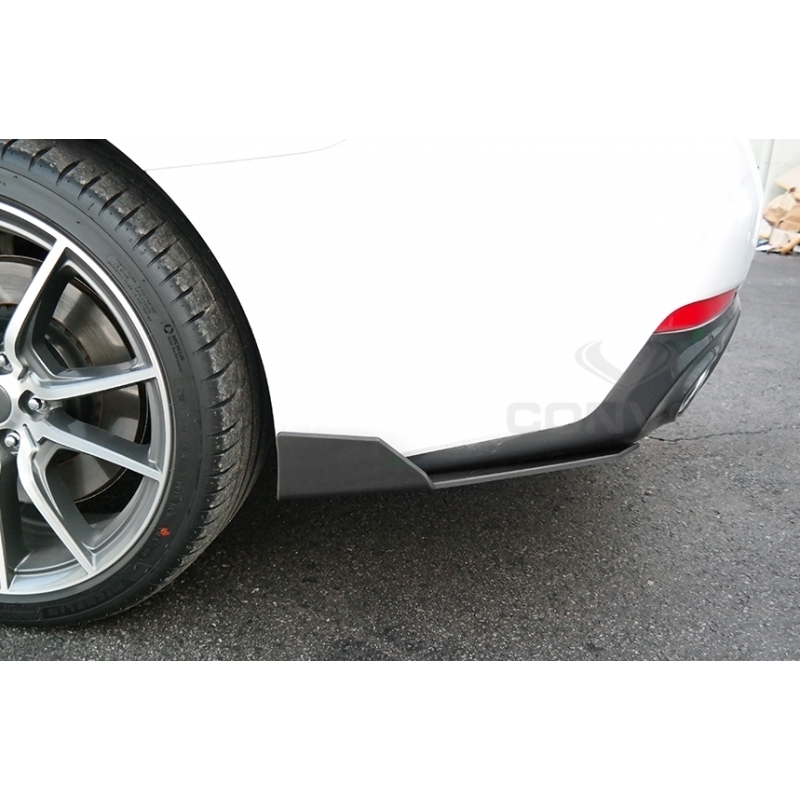 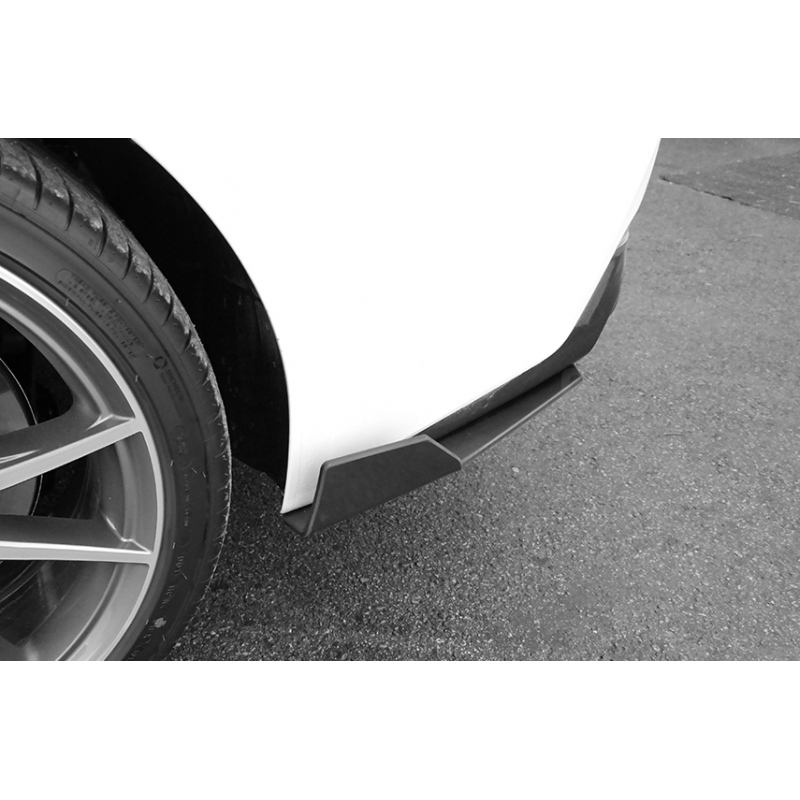 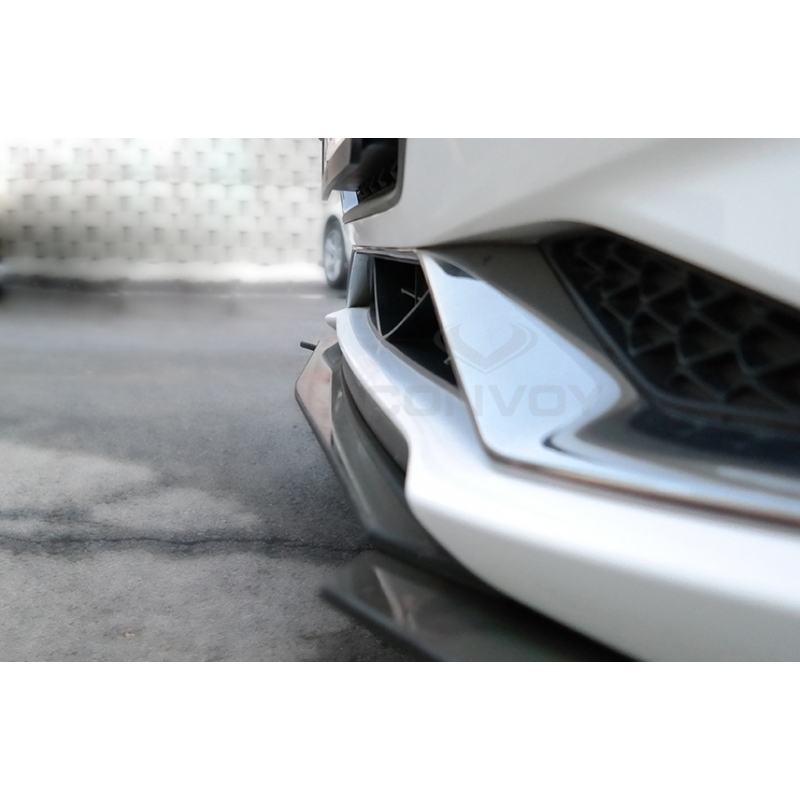 Full lip kit consists of front side wing splitters, front center splitter, side wing splitters and rear side wing splitters. 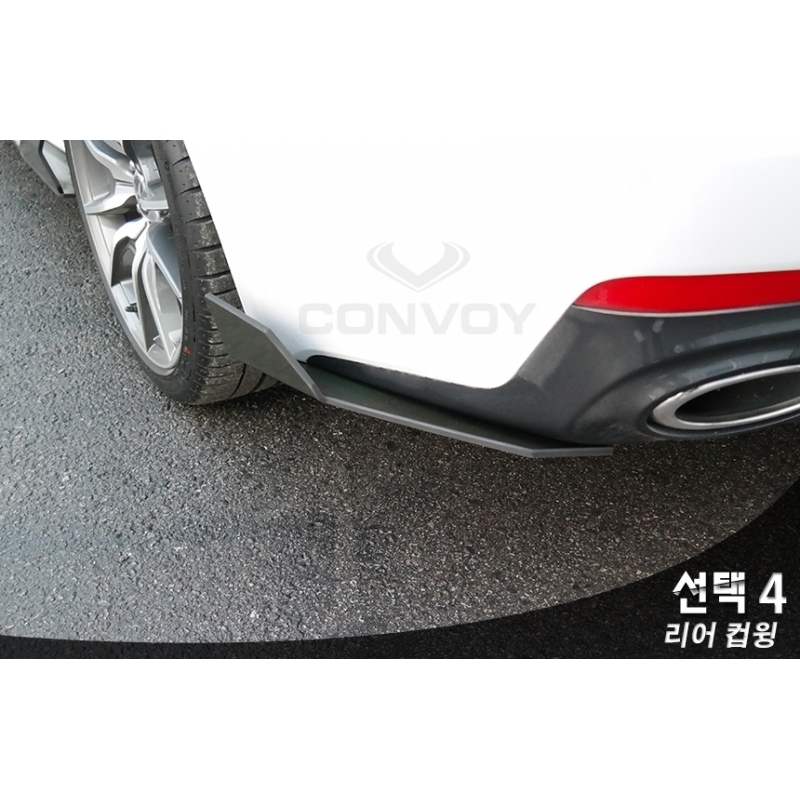 Velocity sticker in red included along with install hardware. 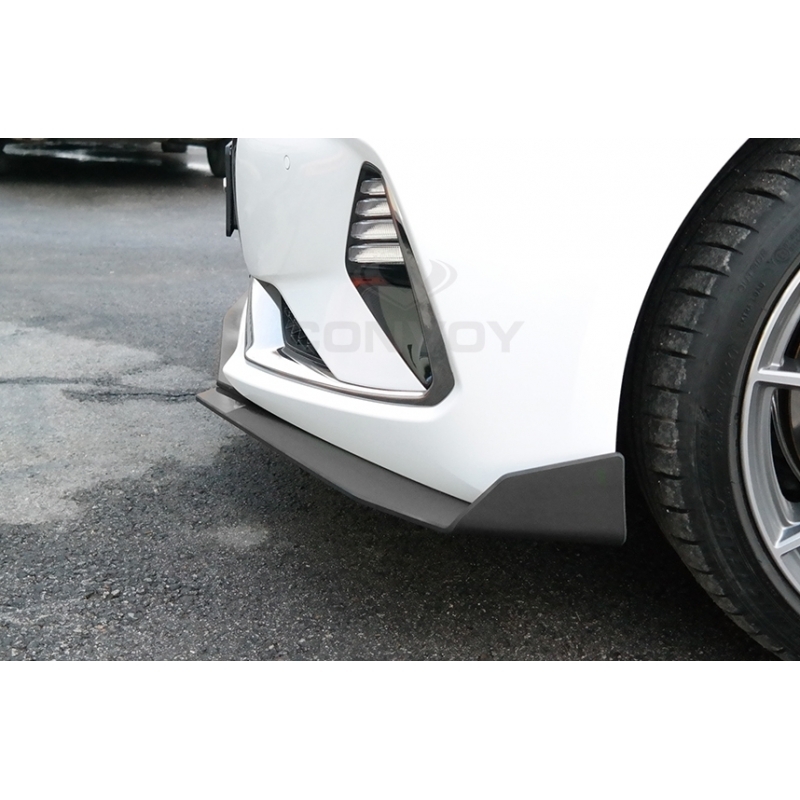 PRICES INCLUDE SHIPPING EXCEPT FOR SIDE SKIRTS AND FULL SPLITTER KIT! 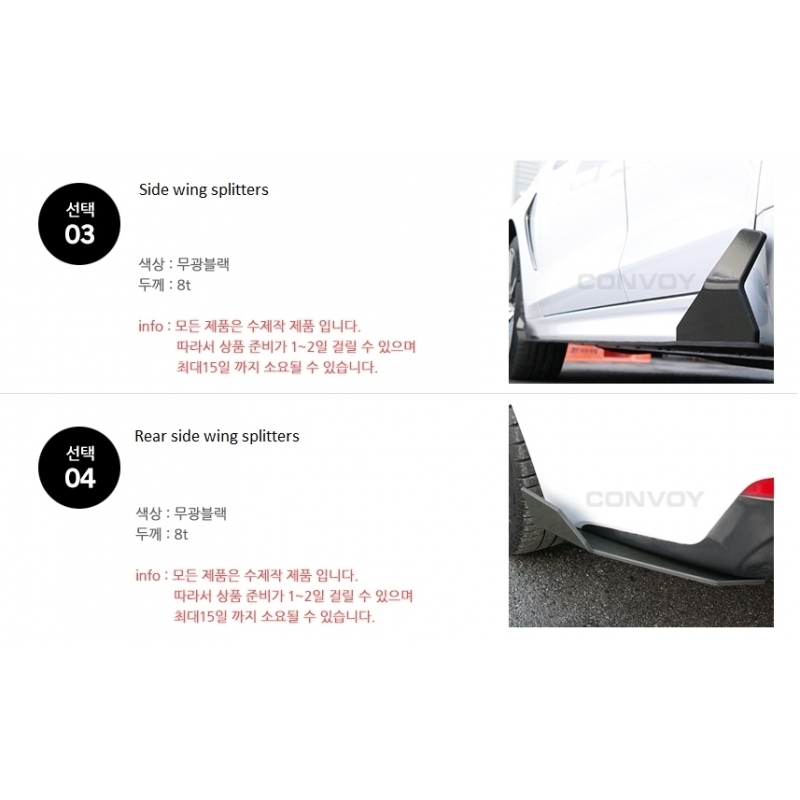 EMAIL US FOR SHIPPING QUOTE ON THESE PARTS!